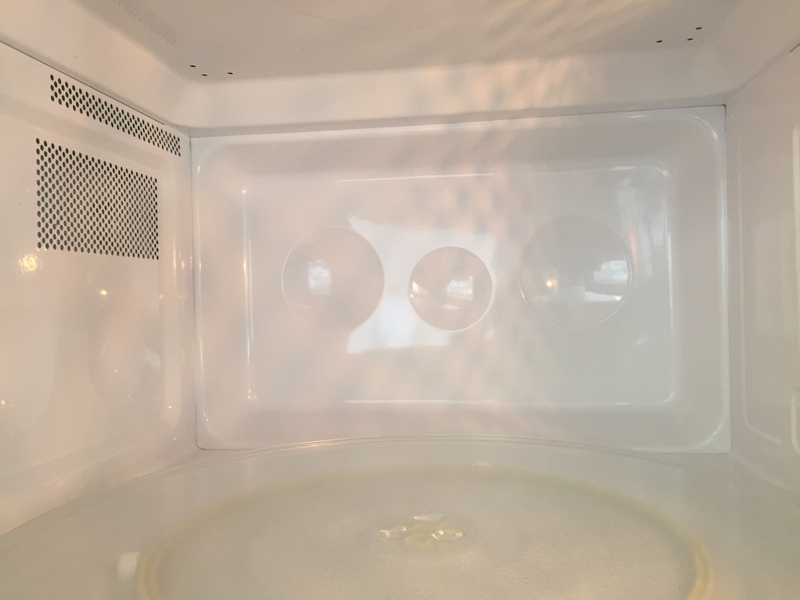 A Clean Microwave In Just 5 minutes – Seriously! Your life just got a whole lot easier! 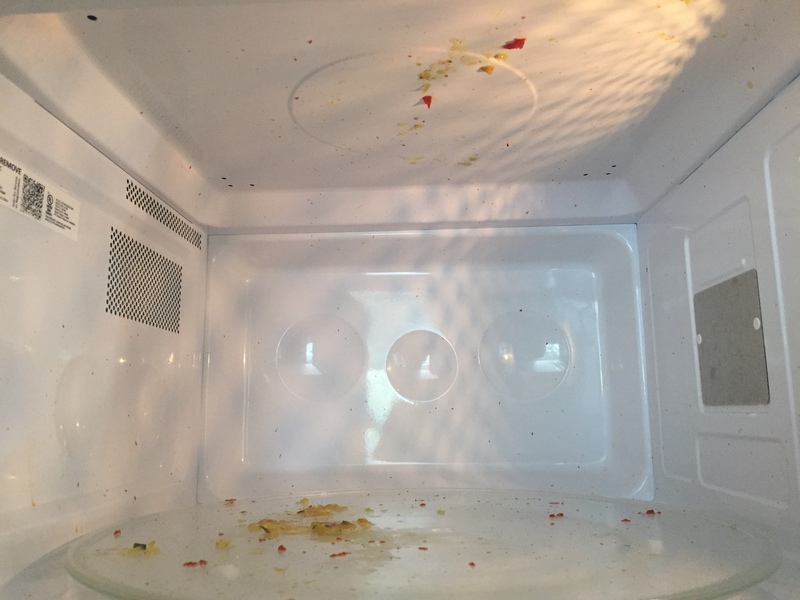 Get a clean microwave in just 5 minutes! No more scrubbing or picking at glued on gunk. 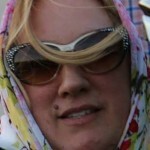 Take a good look at the baked on yuck so you can be really awed when it wipes right out! 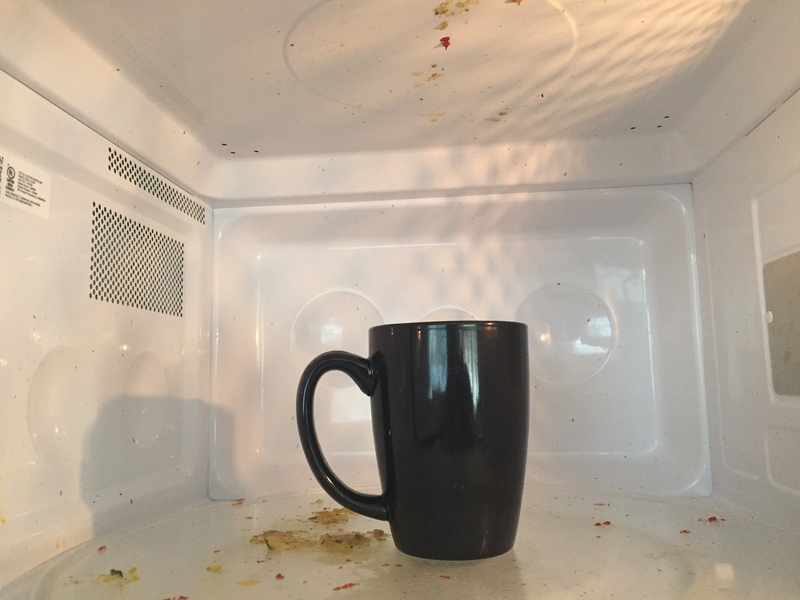 Fill a microwave safe coffee mug with water and place it in the microwave. 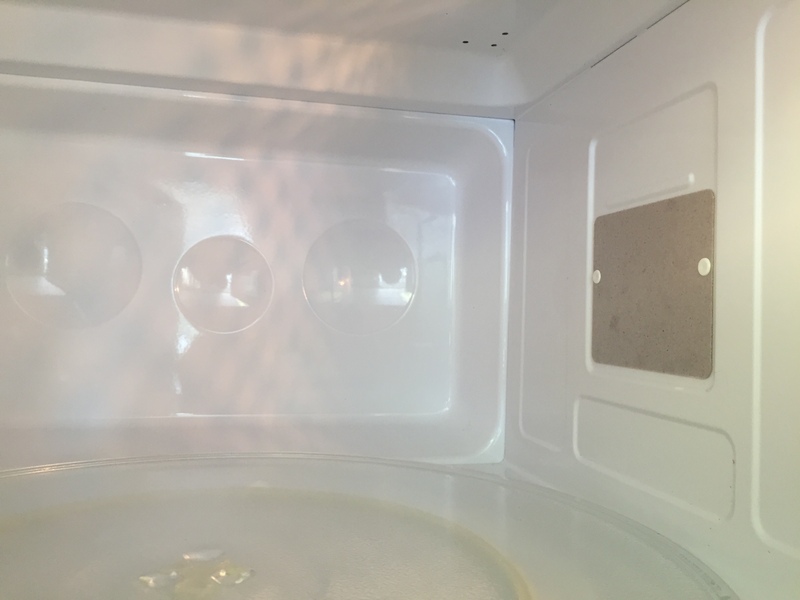 Heat for 1 minute and let stand in the microwave for 3 minutes more. 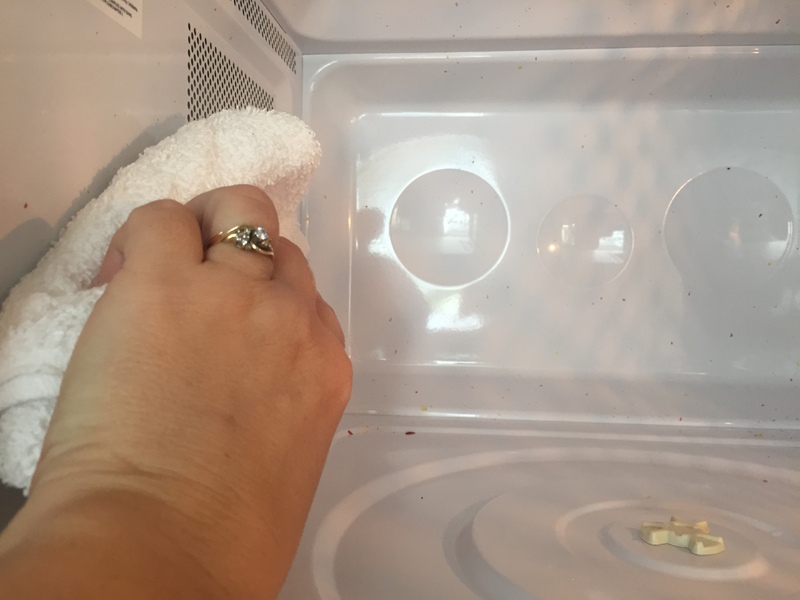 The steam will loosen the gunk, making it easy to wipe out. With a clean, damp cloth everything wipes right out, no scrubbing required. Feel like tackling the stains in your porcelain sink? We have a tip for that too!